So in my mission to finally finish my 1920’s duplex, I wanted to replace the cheesy plastic mini-blinds throughout the space, especially the floppy one on the back door. Have you ever been lucky enough to find a window blind that stays in its brackets and even better, ever found one that is short enough that you don’t get lost in a tangle of strings trying to shorten it to fit? 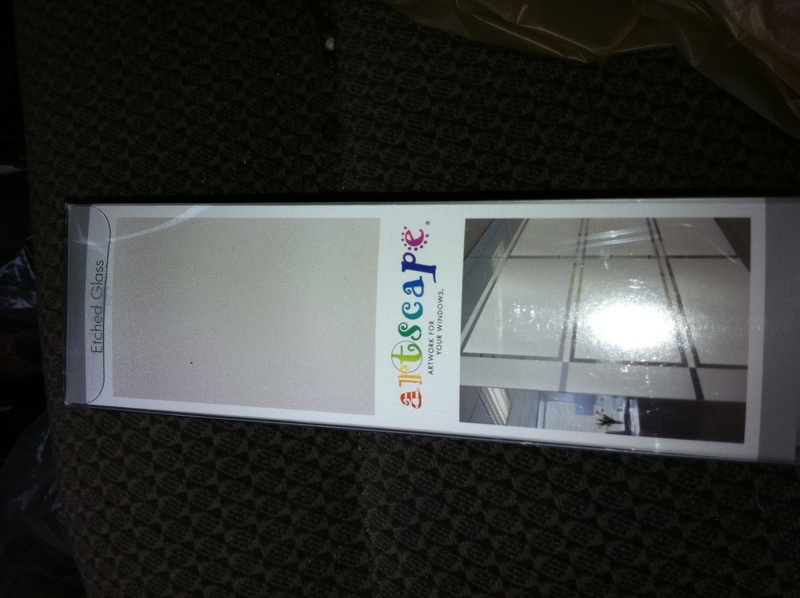 Well, during my hunt, I stumbled across a product from Home Depot called “Artscape” decorate window films. 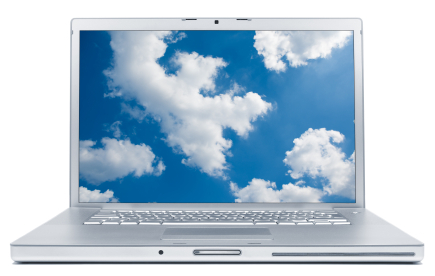 You can choose from two sizes: 1) 24″ x 36″ for $20 or 2) 36″ x 72″ for $30. They have a variety of finishes like etched glass, leaded glass (like the one I used), stained glass, rain, etc depending on level of privacy you also want the film to have. For about the same cost or better than a blind? Sold! 2) Measure the area to be covered and cut film on the paper side using a razor knife and straight edge-Before you cut the film, ensure that it will be even on both sides if there is a pattern. To do this, subtract 50% of the total reduction from each side. In other words, in my case, my width was 21 1/2″ and the film is 24″ wide; I cut 1 1/4″ from each side. Repeat the same measurement for length. 3) Wet the window-Using a spray bottle with water and a couple of drops of hand soap inside, wet the window generously. The wetter the window, the easier to work with the film. Of course, lay a towel down on your floor to protect it from the drips. 4) Apply the film-Starting in one corner, peel the film from the paper backing and press into place and gently continue to roll the paper backing away and pressing the film against the window at the same time. Be careful not to let the paper come in contact with the window. 5) Squeegee the air bubbles-Using the provided squeegee, start in the middle and work outwards to remove all air bubbles. Once dry, the film should be nicely adhered. 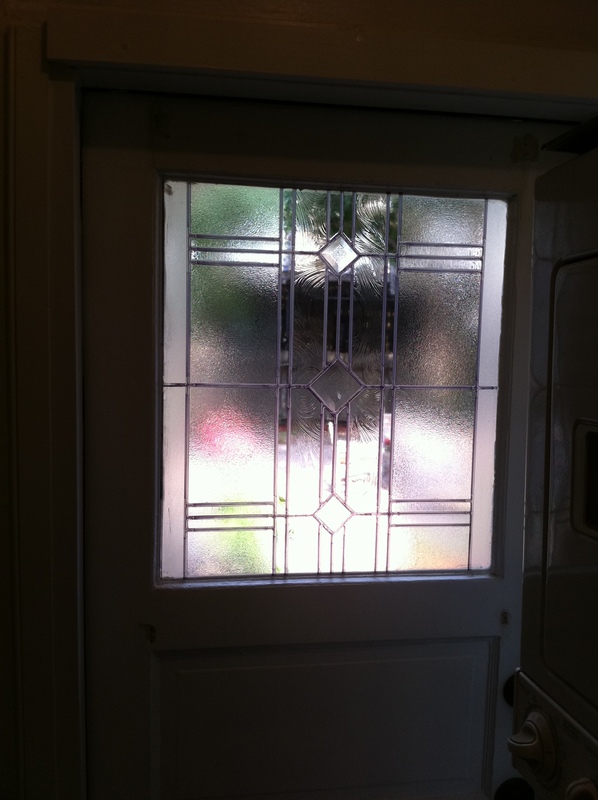 No more blind and a bonus that I now made my 1920’s door look like it has a leaded glass insert. Love it! This really was such an easy project that gave me so much reward and was much faster than installing a floppy blind! I’m going to now use the same film but in etched glass to get rid of the blind in the bathroom. If you have any questions, let me know…hope you enjoy transforming your window. Spring weather is a perfect time to get outside and walk around the entire perimeter of your home to check for any signs of needed maintenance. Houses “settle” over time and are constantly in a state of movement, believe it or not. It is common for caulk joints to deteriorate over time and a lot of us take it for granted that certain small, but very important areas such as caulking are “out of sight, out of mind”. Its much easier and less expensive to replace caulk in order to prevent larger and more expensive issues later. Wood rot and excessive movement however may indicate larger issues that need to be dealt with. Check your window’s caulking. An inexpensive tube of caulk goes a long way to keep your windows air and water tight. Check the seals around any exterior penetrations; again, good seals and caulking help prevent insect intrusion, water issues and the like. If you are not up to the challenge of getting up on a ladder for 2 story homes, most painter type contractors should not charge a lot for this type of caulking or small wood replacement maintenance. As always, I am here to help with any questions you have. 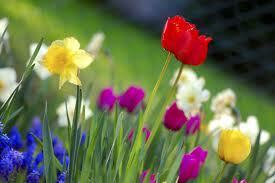 Enjoy your Spring!